If you are an avid hunter, then any time is a good time to go hunting; including the pitch dark nights. Unfortunately, daytime scopes will be useless at night. You will barely see anything, even huge objects. 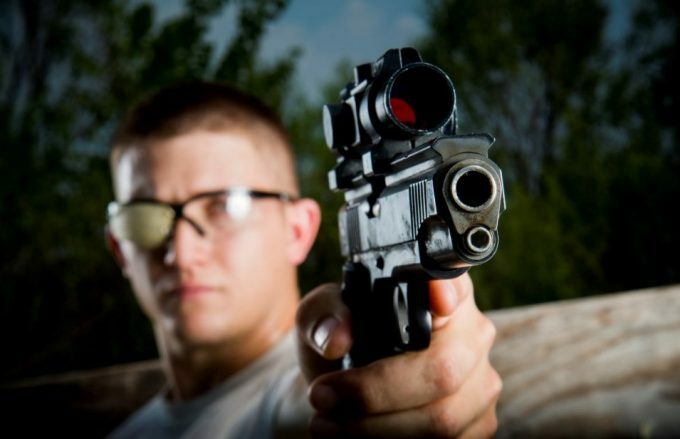 So to nail down your target with ease, you need the best night vision gun scope money can buy. 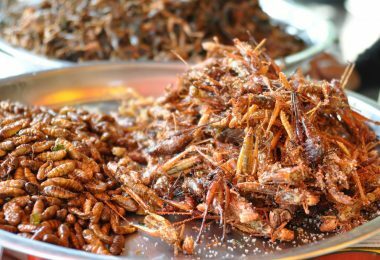 For those who may be too busy to comb through the entire review, here is a brief summary of the main features present in the products reviewed in this article. 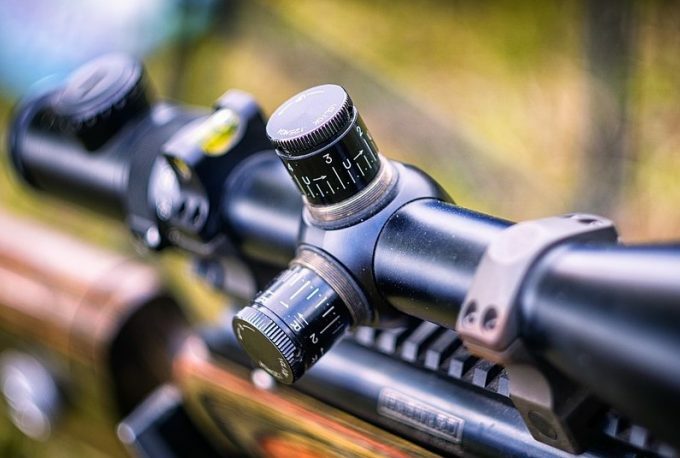 Since we know now what nigh vision gun scopes are, let’s take a deeper peek into the factors you should look at before making your decision to buy one. Decide on the distance you want to cover. There are far and near shooters, and what you are will tell you the kind of equipment you should buy. For example, if you are fond of targeting objects at several feet away, you need a scope that is equipped with a very powerful lens; the higher the magnification the better. However, you also have to know that you may compromise the quality of illumination that your lens is going to receive. Thus, you need to weigh which is more important to you: illumination or magnification. Know what you are aiming for. If an object you are targeting is inanimate or not moving (think of practice shooting), you can opt for the more affordable type of night vision rifle scope. You will not have to be concerned with the object’s speed. 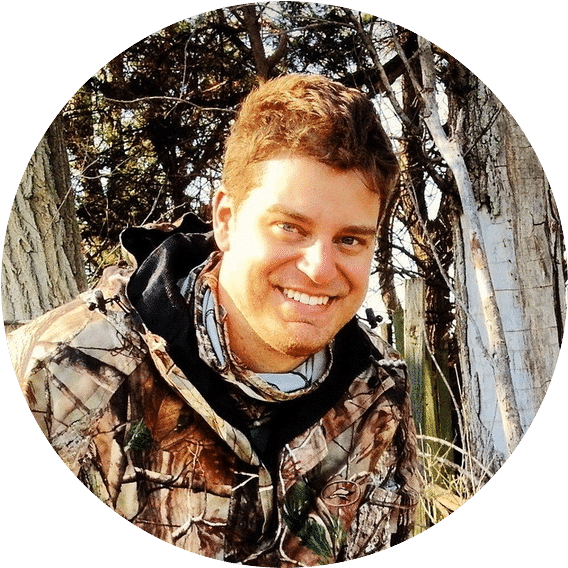 But if you are a natural born hunter, and you have set your eyes on deer, birds, and other fast-moving animals, you have to look for a scope that can also catch up with their movements. 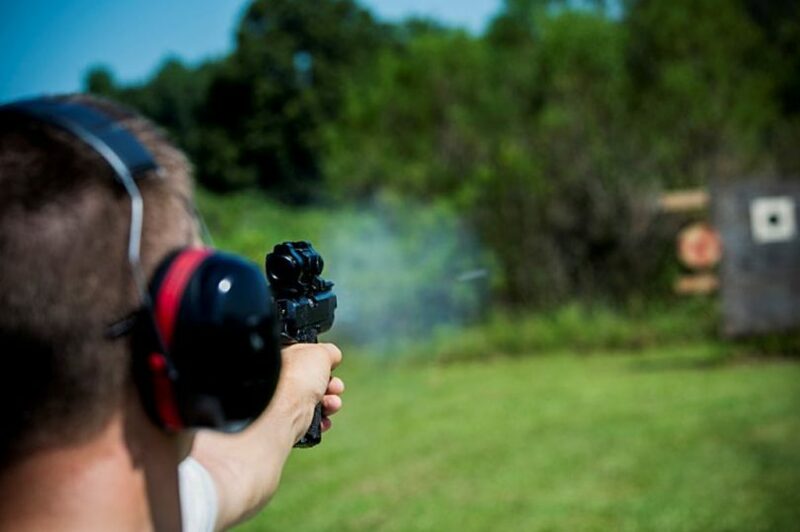 Your sights can also get blurry when your target moves too fast. Decide on the brand. You know what they say, “You will get what you pay for.” There are definitely cheap night vision rifle scopes around, but you may also have to deal with poor quality. If you are dead serious about hunting and shooting, you have to make an investment. There are good brands out there. Go for one that you think fits your shooting skills. You can also shop for a gadget that can function as a regular scope. This means that you can turn off its night vision mode, so you have something to use when you are hunting during daytime and their lenses can withstand exposure to heat. Expect to part with more coins for scopes with both night and day features. Weight not only affects the portability of the scope but will make the rifle heavy such that it will be hard to nail fast-moving targets. Unfortunately, most heavy-weight scopes have better magnification due to enlarged tubes. So, you’ll have to trade off rifle maneuverability for refined magnification and vice versa. This an important factor to consider if you are an all-time hunter or shooter. Scopes take in many dollars so it’s obvious to expect them to last long. The most durable scopes have better electronics, water, and fog proofing capabilities and can absorb high amounts of recoil. Clarity of the scope is measured in LP/MM (lines per millimeter). The higher the value, the clear the scope will be. Some scopes have this calibration written on their surface so you shouldn’t have a problem spotting it. If it’s not inscribed on the surface, you’ll need to research online. If your device doesn’t have an infrared illuminator, then it should have a slot to insert one. This will enable you to provide adequate light for better visions. IRs come in handy during those pitch dark nights when you can’t see anything. However, such scopes don’t capture images far away and usually, they are powerful when large – another situation to compromise on weight if you want super-clear views.Therefore, when buying a gun scope, remember to get one with a slot to attach an IR. You can also purchase a spotlight or handheld illuminator. The wider the objective lens, the more light the scope will transmit hence crisp clear images. Other things that you need to consider include eye relief, exit pupil, and reticle pattern. Rifle scopes belong to different generations. Currently, there are only four generations (although some people argue there are only three). Initially, there was Gen 0, a heavy and ineffective piece that’s only available in antique stores as an expensive item. Gen 1 consists of the basic scopes used by many common individuals since they are pretty affordable. The earliest versions were heavy but current models have been shrunk a bit. These devices need some light source, preferably star or moonlight to work. Without light, they are ineffective hence not suitable for serious individuals.Their optical abilities are good for predator and vermin hunting but not tactical applications. These gadgets sport some improvements in size, clarity, and general performance. 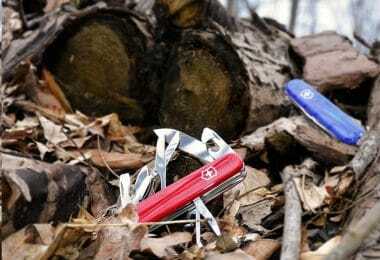 Most of them are small, lightweight and portable with superb optics. It’s their cherished small size that made many manufacturers to adopt the same technology in generation 1. Gen 2 scopes are suitable for tactical operations. Some are still used by reservist and non-combatant troops. These are the scopes you see militia personnel carrying around. Their clarity and resolution have further been refined hence making them impeccable for night vision. Their sensitivity to light is effective and therefore, still functional in low light conditions. These gun scopes are rare to come across, perhaps the reason some people stop at gen 3. These ones are high-grade gadgets with exceptional optics. The coating on the micro channel plates has been removed to improve light transmission. However, the coating serves a purpose and since it’s been removed in gen 4 scopes, they last a short time. 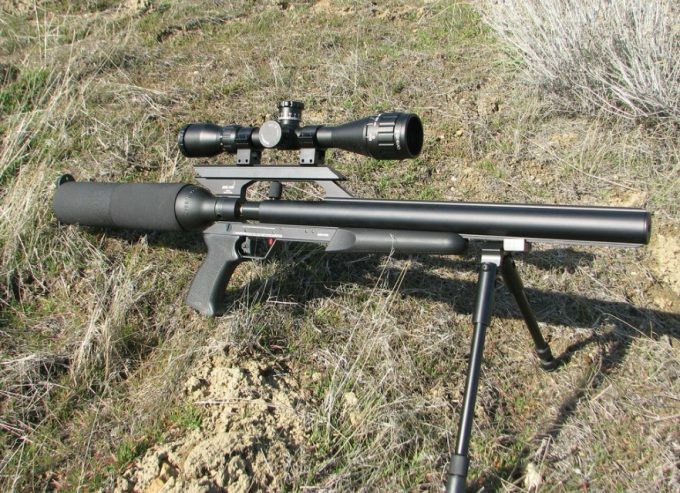 Below is a list of the best gun scopes we thought might impress you. Each product has been briefly reviewed and their pros and cons as well as related products listed. 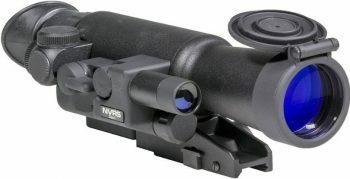 Specific features: 5x magnification, Generation 1+, 8mm Exit Pupil Diameter, water resistant, low battery indicator, shock-protected optics, detachable, 40hours battery life, long range IR, rubberized body, illuminated red cross reticle, 30-40 LP/mm resolution, 70mm Objective diameter, limited 2-year warranty and mounts to several Weaver-style rails. The scope weighs 3.7 lbs. The Armasight ORION 5X comes off as one of the best optical devices that exist in generation 1. With 5X magnification scale and long-range viewing, this scope is a must have for hunters and tactical shooters. It makes observation, target acquisition and aiming a walk in the park sort of activity. Being a medium to long range device, this scope is capable of providing you with celestial precision shooting at a price that is manageable. 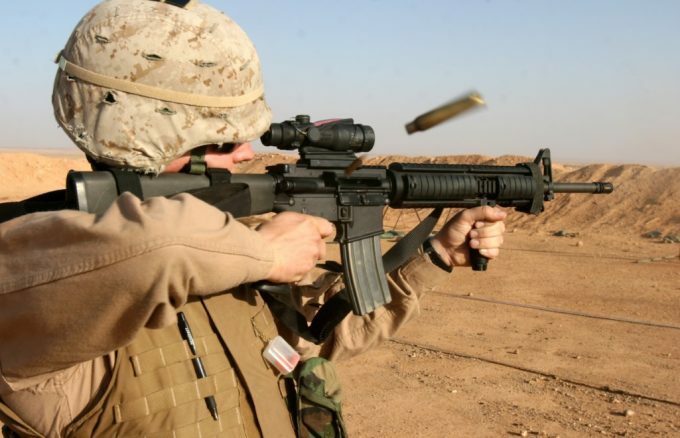 Its compact and durable, hence you should not have a problem maneuvering the rifle to nail down fast moving targets. All the electronics in this riflescope are enclosed in a rugged rubberized house for maximum protection. The scope is also made water resistant to continue providing fun in rainy conditions. Accuracy and ergonomics can be achieved by the precision focus wheel at the top. The IR-810 infrared illuminator comes with help to light up the surrounding in completely dark areas. Related: To improve visibility, Armasight ORION 5X can be used alongside 16×52 Dual Focus Monocular Zoom Telescope. Since the batteries tend to last a short duration with IR on, you can grab yourself the Streamlight 85177 CR123A Lithium Battery Pack to avoid inconveniences. 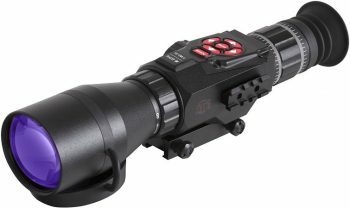 Specific features: 3x magnification, 42mm objective lens diameter, Quick detach weaver mount, built-in IR, Rock-solid titanium construction, ergonomic design, Gen 1 intensifier tube, multicoated optics, incremental brightness adjustment, and 14mm exit pupil diameter. The scope weighs 1.92 pounds. You will certainly enjoy the company of Firefield FF16001 NVRS in a pitch dark night. The scope has a built-in illuminator to light up the way and provide clear images. The optical features are further improved by the 42mm objective lens, multi-coated optics, and a powerful, 3X magnification ability. This scope is a medium to long range device with superb resolution. The clarity and sharpness of the image produced, make it perfect for nighttime hog hunting. The controls are completely user-friendly-especially when you want to get a better view of faraway objects. 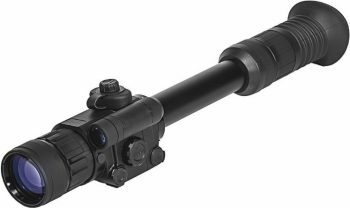 Besides the rugged body design, this scope has various ergonomic features that make it user-friendly. Some of these features include a unique shape and small size for easy mounting and rifle maneuvering. Being a first generation product, Firefield FF16001 NVRS comes cheaply. Firefield FF16001 NVRS is made from titanium metal which gives it a rock solid construction. The scope is lightweight and features flip-up lens cover to protect the lens from harsh weather conditions. It’s secured with a Limited 3-Year Warranty. Some people complain that its mount is not entirely stable. However, with a little extra tightening, it should work properly. Related: Firefield FF16001 NVRS runs a high-powered IR, thus the battery drains quickly. You need an extra lighting source and Evolva Future Technology Infrared Light can save the night. For light mounting, most buyers of Firefield prefer Olight M Series Offset Mount. 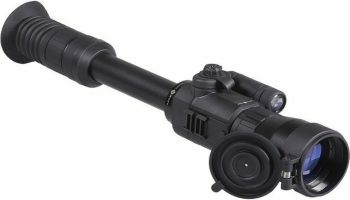 Specific features: 4.6x magnification, 42 mm objective lens, 33% longer battery life, 30% lighter than most night vision gadgets, useful at day and night time, a digital reticle (with six optional styles), built-in LED IR, shockproof and weatherproof, video output for video recording, long eye relief. The Sightmark Photon XT is a compact and extremely lightweight night vision gadget with higher magnification. Its 42mm objective lens transmits sufficient light to illuminate objects. Unlike most scopes with one reticle, this one has 6 types: two crossbows, two duplex for varmint and hog hunting, a Mil-Dot type for holdovers and range finding and a German design reticle. These ensure production of crisp clear images. Sightmark Photon XT is a versatile device with both daytime and nighttime use. It allows you to view images and record videos as well. It also allows shooters to attach many other accessories on its weaver rail for improved functionality. With digital windage and elevation adjustment included, you are guaranteed of precision shooting. When looking for the best night visions out there that perform efficiently, you’ll find them attached with a price tag of over 1k. Sightmark Photon XT manufacturers did something very few can: making a high-grade product that costs less. Something that’s worth mentioning is the scope’s varied IR illuminator. You not only have the choice of switching it off but you can select other three different IR intensities. Sightmark Photon XT is durable, shockproof, and waterproof. Those with glasses should enjoy using it due to its generous eye relief. The scope comes with a user manual to help anyone get started. Related: If you want better magnification and improved IR function, Sightmark recommends their own Sightmark Photon 6.5x50L Digital Night Vision Riflescope. To mount an extra flashlight, you can use Sightmark Medium Height QD Mount. Specific features: 2.5x magnification, 50 mm lens diameter, 15° field of view, 32-36 lp/mm resolution, 45 mm eye relief, up to 220 yds. detection range, multi-coated optics, built-in Pulse IR, uses 2 AA batteries, 50 hours of battery life, and secured with a lifetime warranty. The scope weighs 33.5 ounces. Starting with the exterior, Yukon NVRS Tactical features a titanium construction that gives it shockproof capabilities and long-term durability. In its interior, the scope sports a high-resolution intensifier tube for faster and better image display. Its reticle is a red-on-green type and comes with an on/off switch. Regarding optics, Yukon has a slightly reduced magnification of 2.5X. However, it still provides better magnification thanks to its multicoated optics, illuminated reticle, and a bigger lens diameter for light gathering. The built-in IR can expand the field of view without draining the battery. To prevent it from burning out, the illuminator diode has been designed with a pulse. This allows the illuminator to cover longer distances as well. Like Sightmark Photon XT above, Yukon NVRS Tactical too is a versatile scope; it allows you to record videos and capture photos through additional camera accessories. Other accessories used with this optics include an AK adapter, double lens, laser pointer and IR flashlight. Related: For seamless functioning, Yukon is frequently used together with UTG 3X Magnifier with Flip-to-side QD Mount and Evolva Future Technology Infrared Light. Specific features: 5-18x magnification, powered by ATN Obsidian Core, smart HD optics, Day/night viewing, equipped with a WI-FI, GPS, E-compass, and gyroscope, 67 mm eye relief, 9 reticle options, detachable IR, ATN L130 Sensor, 4-32 GB SD card, Android/IOS remote viewfinder, Micro SD, Micro HDMI, and Micro USB ports. The scope weighs 2.7 pounds. Included: Infrared illuminator (detachable), lens cover, micro SD card, sun shield, batteries, carry bag and a quick start guide. The ATN X-Sight 5-18 is the definition of perfection. This is a smart riflescope with connectivity and location features like Wi-Fi, E-Compass, Geotag, altitude, and velocity. The Wi-Fi allows you to connect to your desktop, mobile device, and tablets for data transfer. You can use a connected phone as a viewfinder (you may need to use the manual for further troubleshooting). Both Android and IOS devices are supported. The geotagging feature lets you track and record every place you go. You can review these places later on through an interactive map. With a magnification of 5X, ATN guarantees better magnifications. To sweeten things up, the scope can record videos or still images in 1080p HD format both at day and night time. This scope’s great optics are further enhanced with is 80mm wide objective lens. Even in dim lighting, you’ll still be able to get clear images. It comes with a detachable IR to light up the way. Its reticle gives you up to 9 options! 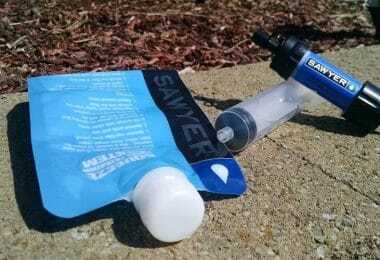 The device is fully waterproof and it’s protected by a two-year warranty. Related: For smart riflescope lovers, if ATN X-Sight 5-18 doesn’t deliver the punch you are looking for, ATN recommends ATN X-Sight II 5-20 Smart Riflescope – the latest advanced version of the former. Also, due to the scopes’ advanced (smart) features, battery drainage is at the top. Hence, an additional source of IR light like Armasight XLR-IR850 Detachable X-Long Range Infrared Illuminator is a good investment. 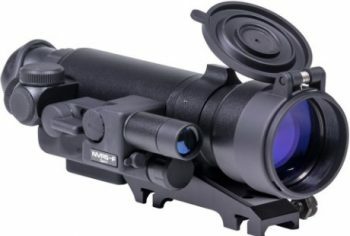 Specific features: 2.5x magnification, 50 mm objective lens, extended weaver mount, generation 1 optics, titanium alloy housing, 45 mm eye relief, 220 yard detection range, 35 LP/mm resolution, built-in pulse-enabled Infrared, on/off remount and IR control, red-on-green reticle, and multi-coated optics. The scope weighs 33.5 ounces. Included: Carrying case, lens cloth, remote control, photo adapter reducer and a three-year warranty card. The Firefield FF26014T separates itself from other night vision optics by its advanced optics and a durable, ergonomic design that makes it comfortable and user-friendly. The scopes imaging capabilities are optimized by its 50 mm wide objective lens, multicoated optics and internal focusing. There is also a pulse-enabled infrared illuminator to enhance image brightness in pitch dark nights. Firefield FF26014T Tactical’s excellent imaging makes it suitable for hunters and tactical professionals. It’s simple to mount and use. It has a digital camera that works with most camera accessories. A few of the accessories you need include an IR flashlight, laser pointer, double lens and an AK adapter. These accessories are sold separately. FireField FF26014T runs on 3V (two AA) batteries. Without the Infrared on, the device can last up to 50 hours. For protection purposes, the interior parts are enclosed in a titanium body. The lens are secured by a flip-up lens cover. 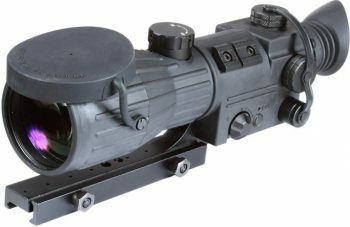 Related: If Firefield FF26014T seems a little below your expectations, Armasight Vampire 3X Night Vision Rifle Scope will satisfy your needs. With a three times night penetration ability, you should have an easier time nailing your targets down. Specific features: 6.5x magnification, 50mm objective lens, a digital reticle with 6 reticle options (2 crossbows, 2 duplex, and 2 Mil-Dot), 780nm IR illuminator, 200m detection range, 640 x 480 display resolution, 5.5-hr. runtime, integrated weaver rail, video output feature and digitalized windage and elevation adjustments. The scope measures 26 ounces in weight. With Sightmark Photon, you can hide under the hovering darkness and still be able to see your target clearly as you would when the sun is up. 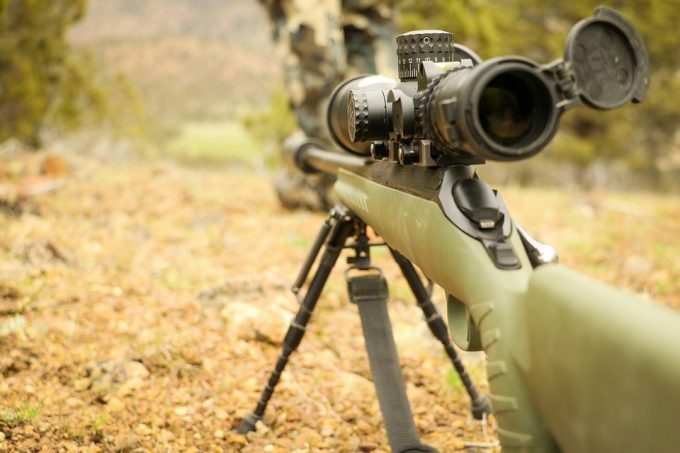 Beginning with the shape and size, this scope is built with a narrow middle body tube to lower its weight and make it easy to sustain on the rifle. The feather-like weight makes aiming and hitting small targets a breeze. Down to optics, Sightmark Photon 6.5x50L consists of a high-quality glass lens and a wider objective lens to improve picture quality. The images come out in 640 x 480 resolution clear enough to view without straining. Their device is equipped with a digital reticle with 6 options for long-distance use. This riflescope comes with an inbuilt infrared. The 780nm laser Infrared illuminator is powerful enough to deliver bright visions. While such an impressive IR can overtax the battery, this scope still manages to keep you in the field for up to 5.5 hours. The overall design of the scope, when combined with the digital and windage adjustment system, results in improved precision. Regarding the general construction, Sightmark Photon 6.5x50L is a sturdy product with waterproofing capabilities. The weaver rail system has many slots to allow attachment of several accessories thus enabling you hunt with a complete rifle system. Related: In terms of price and features, Sightmark Photon 6.5x50L is closely related to ATN’s ATN X-Sight II 5-20 Smart Riflescope. So if you love a scope with smart features, the latter could suit you. One of the most important accessories Sightmark Photon 6.5x50L can work with is Olight M Series Offset Mount. We have reached the end of our review. We hope you know all the tidbits involved in selecting the best night vision riflescopes. We have also outlined for you some of the products that are doing well in the market. While it’s an honor to make a choice for someone, it would be better if you go over all the products and pick one that fits your needs. Have you ever used any of the scopes reviewed in this article? Is there anything we’ve left out? Feel free to share your thoughts with our readers via the comments section below.